I love a good challenge. 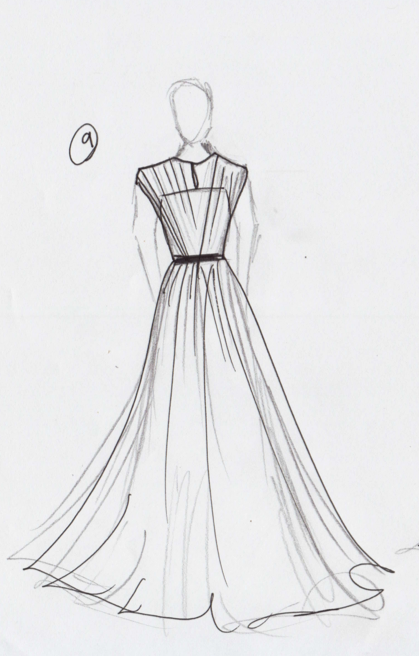 So earlier in January, when my good friend and favorite “muse” Alyssa Campanella asked if I could design her a special gown for the 2014 People’s Choice Awards- I jumped at the chance. Not only is Alyssa a Designer’s dream, but her style is very similar to my own. The challenge? A four day deadline. Luckily, Alyssa knew exactly what she wanted. Something elegant, romantic, and effortless. The result: an ethereal, iridescent custom gown fit for a modern-day princess. I’m so happy with the end result of this gown. And it’s also very exciting to see Alyssa toping many of the season’s ‘Best Dressed’ lists! And a special congratulations to CW’s “Reign” for winning Favorite New TV Drama at the People’s Choice Awards!